Some of the people featured in the film are composer Malek Jandali, the New York Times foreign correspondent Anthony Shadid who passed away in 2012, Retired US Army General John Abizaid and Ralph Nader. It seems like the film was originally titled Arab American: An Untold History. 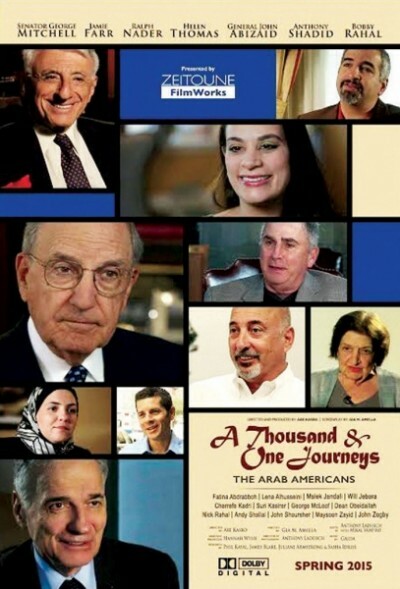 I imagine the film is intended to be an accessible version of Gregory Orfalea’s The Arab Americans: A History, a book that is both personal and scholarly, based on interviews with 140 Arab Americans over a period of more than 25 years. Orfalea talks about his book here.